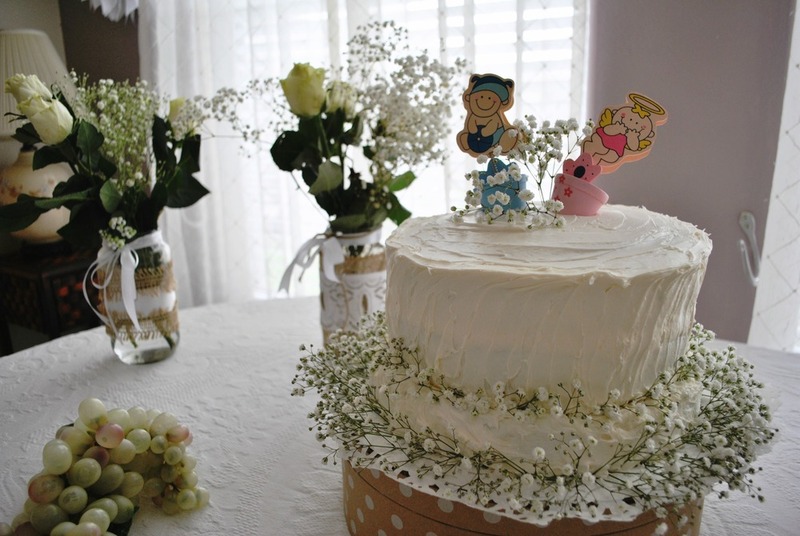 Baby M's Shower — Yadi's Journal | All things love. All things home. We've kept Baby M's gender a secret (or tried to) since the day we found out. We love hearing all the interesting reasons as to why it is or will be a girl or boy. Those that know that we know are itching to find out, but G. & I told each other we would at least keep it in the family until the delivery day. Our family members & close friends know now what it is, of course. The surprise was in the cake. But, it was amazing how they all knew before we even cut it! Hmmm. When I first walked into my mum's house, I got extremely emotional. Everything looked beautiful! 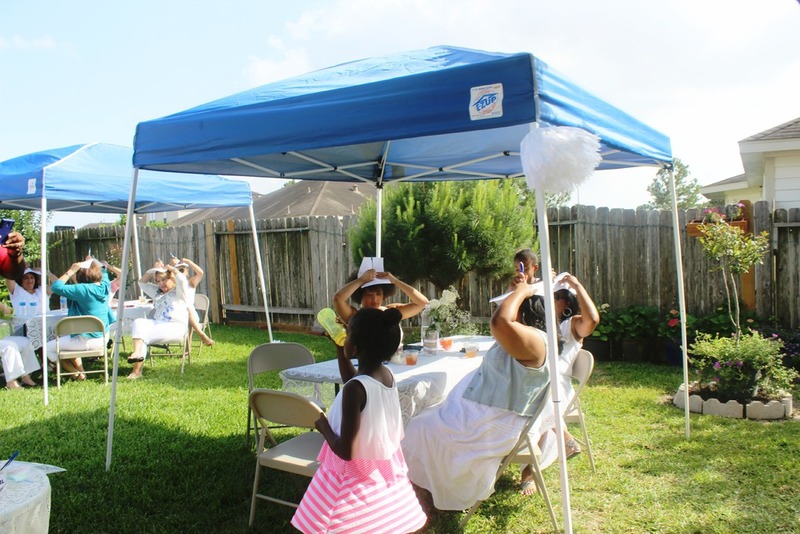 Alongside the help of my momma-in-law, our bestie Ruby & her hubs, they did an amazing job. 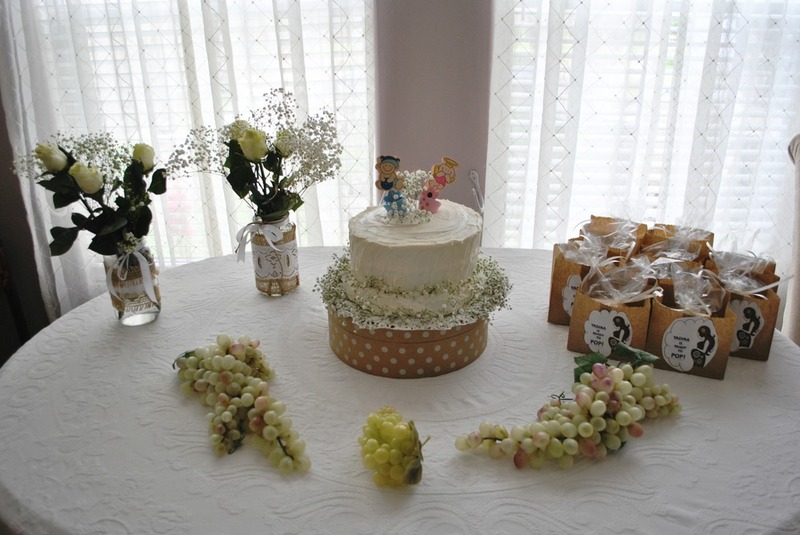 My mum never told me what she was planning - decor nor color wise. 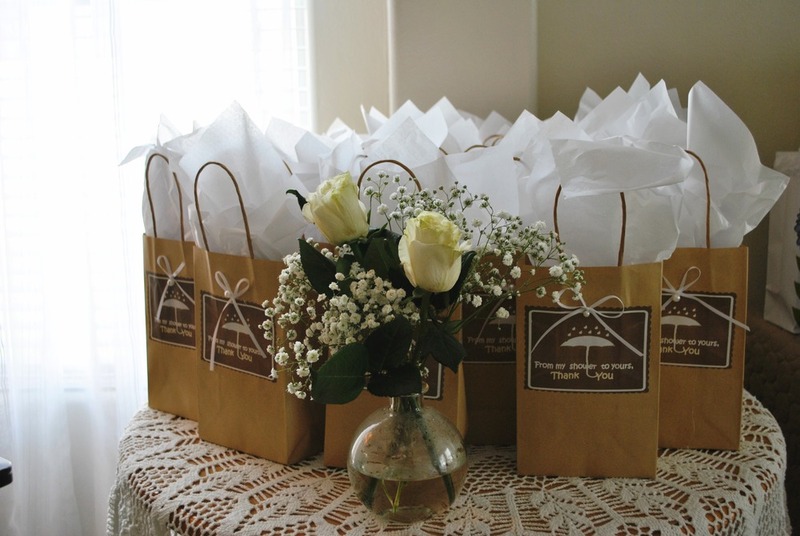 The print outs were so adorable & the goody bags she made for the guest were so handy for the Spring/Summer season! The afternoon was beautiful. Super windy, but the sun was out & it wasn't annoyingly hot. It was really meant to be a girls only party -- but G., Poppa Perry & our bestie's hubs stayed to "just in case" help us with anything. They of course paid the price & had to play in some of the games, which was actually hilarious. I laughed so hard the entire evening. 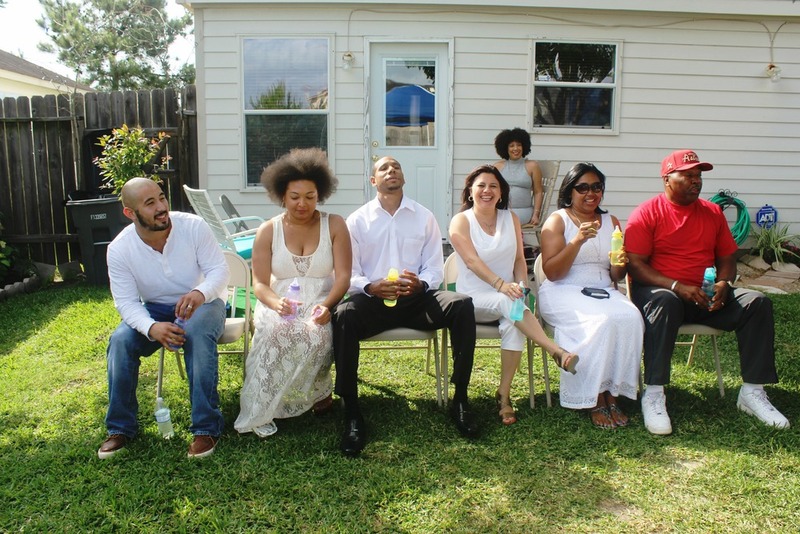 Baby shower games can be dangerously funny. I was even mortified to do the "opening of the gifts" portion because I sometimes feel like it could be boring for the guest -- but OMG we laughed so hard the whole time. Of course I got emotional here & there from all the love these women poured onto our little June bug. Every gift has been carefully placed in Baby M's room & we just have to wait for her/his arrival! Have you guessed yet? Boy or Girl!? P.S. 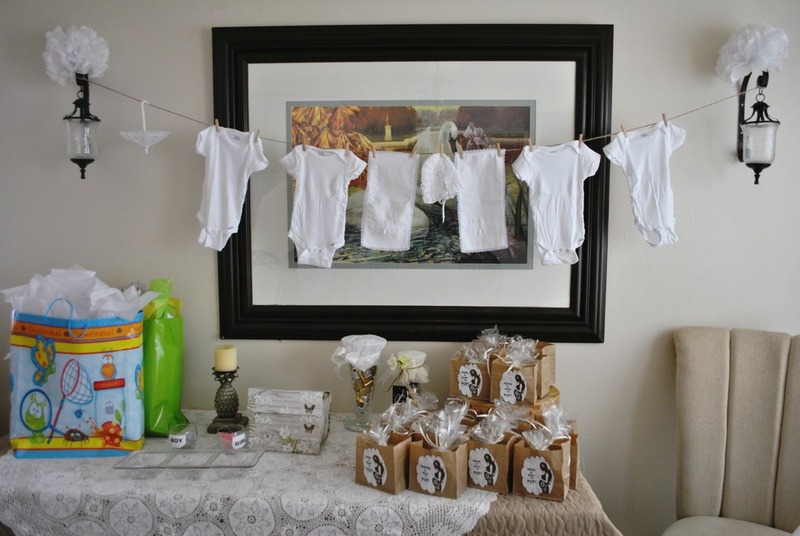 - We have about 5 weeks left & will be a bit busy getting ready for le bebe & we're planning another fabulous baby shower. Have I told you who else is pregnant yet?